Almost 200 Cadets descended on Cameron Barracks this Easter to take part in the ACF’s main Piping and Drumming event in the calendar. During the week-long Concentration, Army and Air Cadets competed in a series of ‘pipe-offs’ to be selected to play in the Cadet Massed Pipes and Drums. Cadets were up at 6am for classes and practised non-stop throughout the day to make the grade. Cadets contended with cold temperatures and heavy snowfall during the rehearsals. 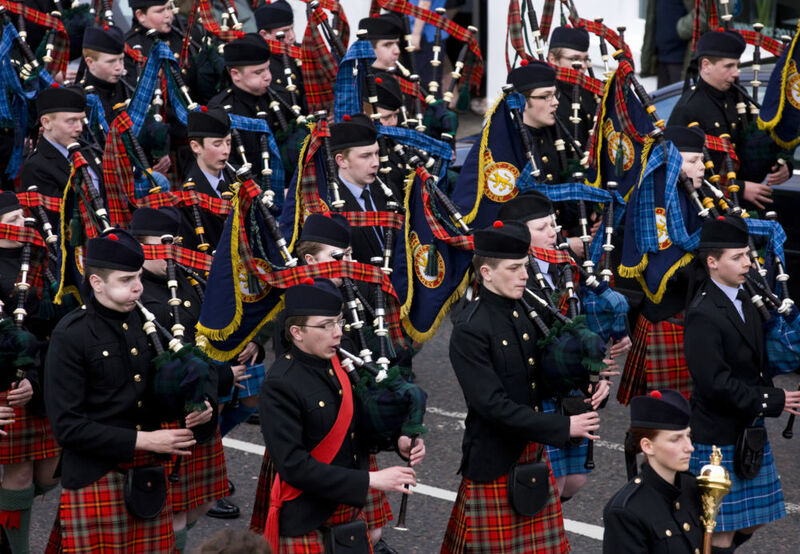 The week’s hard work culminated in a grand finale on Saturday when cadets paraded through Inverness immaculately dressed in their new tartan uniforms. Col Murdo Urquhart, Colonel Cadets, Youth and Cadets Branch HQ Support Command took the salute and presented the prizes. Michael Moore MP, Secretary of State for Scotland, and his Defence Adviser Morag Malcolm also attended the event.